Preheat your oven to 220ºC/Gas 7. Put the quartered onions and garlic cloves in a deep roasting tin. 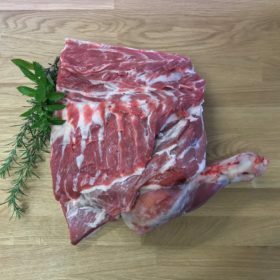 Stab all over the shoulder of lamb with a small sharp knife, especially the fatty bits. Mix all of the spices and seasonings together and rub all over the outside of the lamb shoulder and into the cuts. Place on top of the onions and garlic and roast for 20 minutes to seal. Pour over the stock, cover tightly with foil and drop the temperature to 150ºC/Gas 3. Allow to cook for 4 hours or so until very tender and falling off the bone. 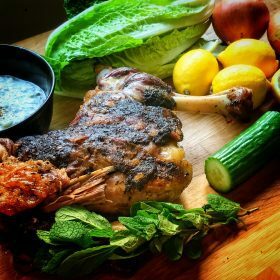 You can use this as an alternative very flavoursome roast with your usual accompaniments. 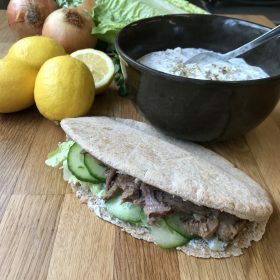 Alternatively carve or shred the lamb into the pan juices and serve with pitta breads or wraps, some crunchy lettuce, thinly sliced cucumbers, thinly sliced red onion and greek yoghurt with lots of finely chopped cucumber and mint (or a good couple of teaspoons of mint sauce concentrate). 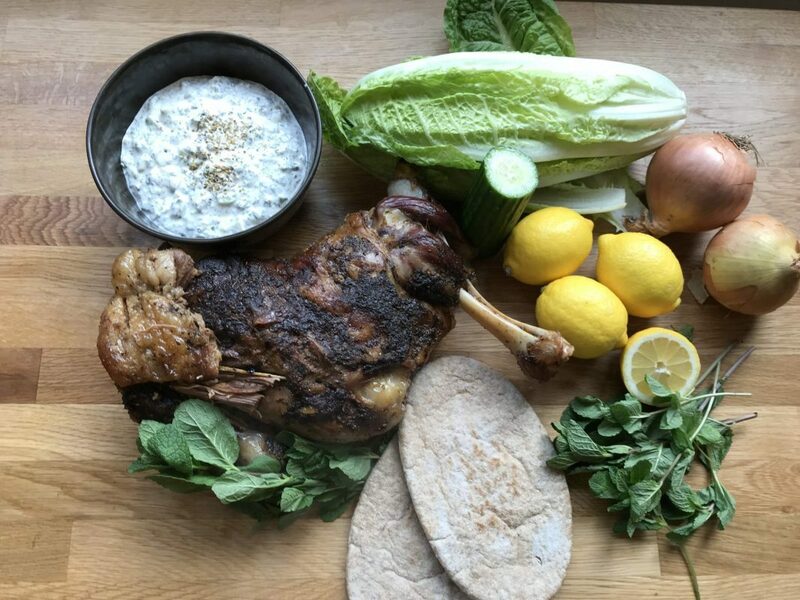 This entry was posted in Recipes and tagged lamb, lamb shoulder, roast.